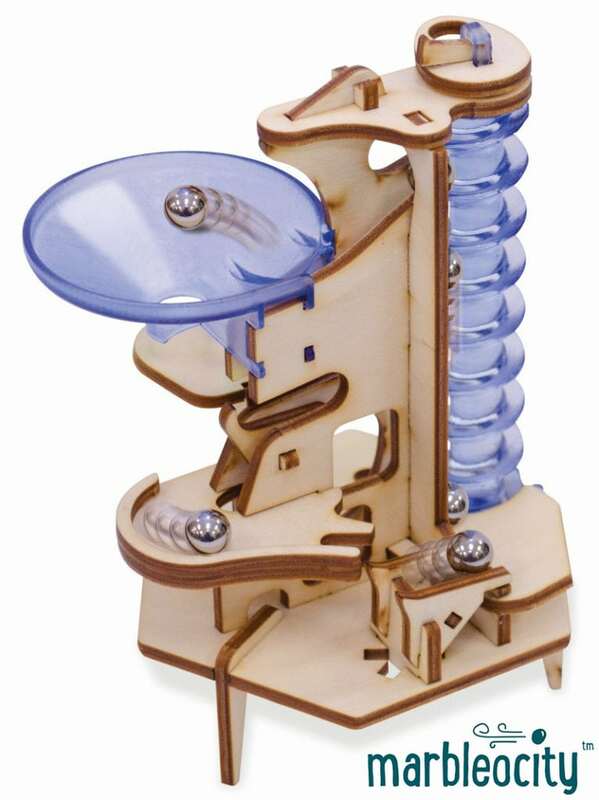 STEM kits, and the intricate and beautiful designs of each module fit together to form a weaving and winding marble machine. The new Triple Play™ series features smaller models and an added plastic components that give the wood model a pop of color. Archimedes Screw features fun elements like a helix and funnel. 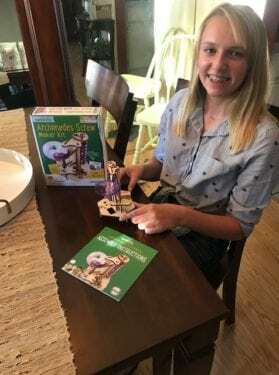 Like all other Marbleocity kits, Triple Play models also include a full color comic story, to teach important STEM lessons and relate physics and engineering principles to real life. From our NAPPA team: The comic that comes with the set is cute and adds a touch of whimsy. This is a fun project that also brings STEM concepts alive for kids.